Last week we took a look at the several limitations in the overall design of traditional pediatric self-propelled manual mobility. From overall weight of the setup to how a short wheel base impacts stability and propulsion, these limitations can be devastating for our young clients. 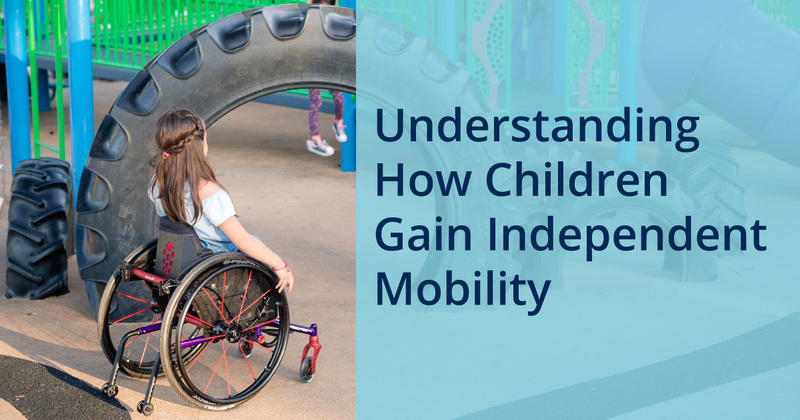 In order to solve these limitations, it’s important to understand how children gain independent mobility along with some of the physiology behind the importance of improving pediatric manual mobility design. In general, we need to understand children are not just little adults. We can’t just take an adult size wheelchair and shrink it down and hope it works. Children have unique needs separate from the adult population. Children weigh less and have limited functional reach due to their body proportions and developmental age. At first, for example, at a very young age, our limbs are often shorter than our trunks and our head is larger in proportion to the rest of our body. Children have less strength and less range of motion. Children have more capsular tightness into shoulder flexion, so they don’t have as much shoulder extension when reaching for the wheel. Children have different neutral pelvic positions than adults based on their development and sometimes have hip and lower extremity positioning needs that have to be accommodated. One of the differences in pediatric independent mobility, is that children are learning while they’re moving; it’s not just a matter of getting from Point A to Point B. It’s crucial the child has a great experience from the moment they get into the chair and know they can move themselves even though it may be short distances or under age appropriate supervision. Kids learn by interacting with their environments, so getting kids out to explore and learn while they are moving themselves with independent mobility is essential to their development. We want to start a child with an optimal rear wheel position as early as possible because we don’t have enough research to fully understand the biomechanical changes that occur when a child is propelling a manual wheelchair at a very young age. In some of the most recent kinematic research the youngest child that was included in the group was 6 and a half years old; however, we know that children can start using manual mobility as young as 1 to 2 years of age, and we still don’t know the long-term impact of early propulsion. Last of all the chair should be fun. Children can be a little timid at first when trying a new mobility device, but if the child is drawn to the chair, they want to explore and see what the chair can do. Wyatt, who uses the TiLite Pilot, said this about his chair, “My chair is so fast, my friends have to run to keep up!” We want all children to have a similar experience and opportunity to lead the pack. Getting them an ultralight chair that can be grown to their measurements while giving them wheel access from the very beginning is what is going to spark their curiosity and encourage them to have independent wheeled mobility.